Let’s think about the benefits of a night cream for a moment - there you are getting your beauty sleep, there your night cream is working away at keeping your skin looking smoother, younger, brighter and more youthful whilst you quite literally lay back and do nothing but catch some zzz’s. How could you not have a night cream in your routine? 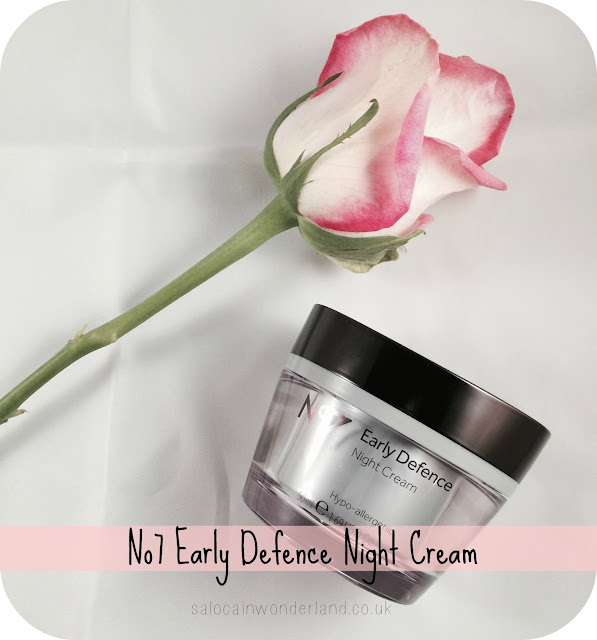 The No7 Early Defence Night Cream (£19.50) has been the latest weapon in my skincare arsenal. Packed with lipopeptides for their antibacterial properties, and vital vitamin A to help reduce the early appearance of fine lines and wrinkles, this is a gem of a product for anyone like me still clinging hopelessly onto their twenties like a deflating life raft. 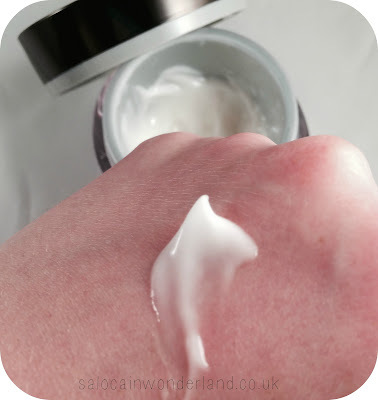 The cream itself has a pretty thin, watery consistency that is quickly absorbed into freshly cleansed skin and dries without leaving any residue or grease. Even after a full night of tossing and turning my face is still pretty matte and oil free come morning. It’s ideal for when the weather is a little warmer or you're on a winter sun getaway as it’s so cooling and refreshing to the skin. The lighter formulae means I don’t have to worry about it clogging up my pores and causing breakouts, and being hypo-allergenic means when my skin decides to have a moment, this won’t irritate it further. No7 prides themselves on their double defence technology - protecting and repairing your skin from environmental damage and pollution, something I’m keen to look more into since I live in the city centre. I don’t even want to think about all the bus fumes and tourist grime that’s burrowing into my pores! Even when I have struggled to get my 8 hours sleep, No7 Early Defence Night Cream has ensured I wake up at least looking like I’ve got my beauty sleep. My skin feels smoother, and not only looks but feels more hydrated too. I’ve found it to be great for oily skin, but probably not moisturising enough for dryer skin. 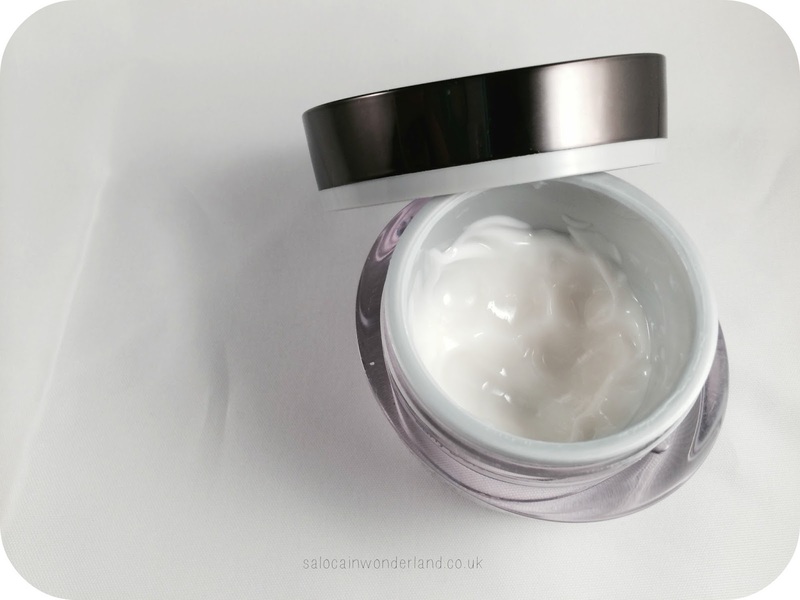 If your prefer a lighter night cream year round then this is ideal, but with winter coming, I’m starting to reach for thicker products in order to repair my weather beaten-like-eggs face. What’s your go-to night cream? Do you even use one? Aloe vera is AMAZING for spot prone skin, and brilliant for any skin with the weather getting colder and crappier! So it's a great choice! Their Vitamin E line is really good too, especially the cleanser! I think I NEED this, I love No7 foundations and I love night creams… So it makes sense for me to go and buy it on pay day… RIGHT?! It makes PERFECT sense! Totally justified! It's great, especially when you can pick it up on their 3 for 2 offer! This seems okay but I def have dryer skin than it can cope with. Boo. You should try Benefits Total Moisture, it's amazing for insanely dry skin! I always didn't get a good and enough sleep, and honestly, I haven't have a night cream in my routine right now cos I stopped using any for a few months, and now I was thinking of looking for this product cos it might be good on my skin.. Well, let's see..! I couldn't be without a night cream! All those benefits whilst I catch some zzz's? It's a win win situation! Their skincare line is amazing. I have tried a fair few things now (more reviews coming soon!) and so far everything has been a pleasure to use and given me some serious to shout about results!